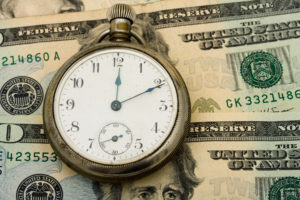 A recent blog post by New York-based research director Michael Batnick calculates how procrastination impacts the amount that would have to be saved in order to afford that comfortable retirement. He starts by noting that the 90th percentile pre-retiree has managed to save $855,000. Then he imagines that a hypothetical person starts her worklife in 1980, and invests in an evolving portfolio, 80% stocks, 20% bonds from age 22 through 39, a 60/40 portfolio from age 40 through 54, and 40/60 stocks/bonds until age 60, today. To get to $855,000 today, this person would have had to save $159 a month in the first year, and increased that savings each month commensurate with inflation.